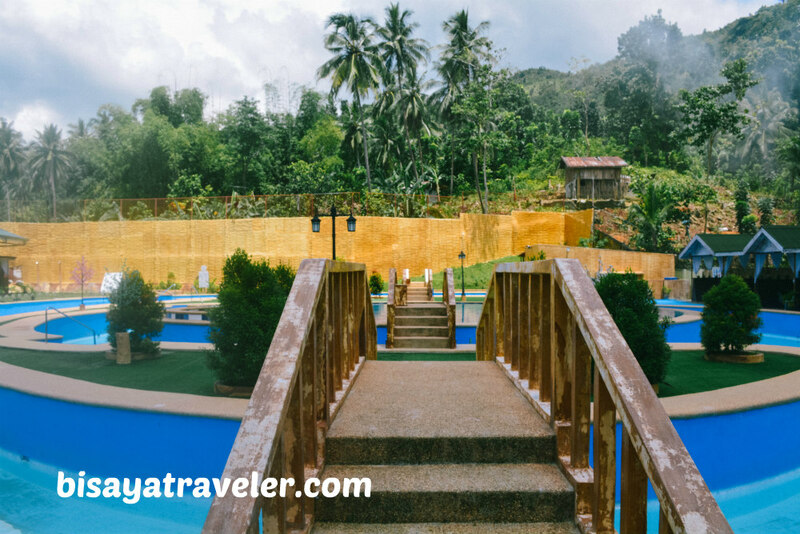 After a series of mind-blowing and fascinating adventures, I finally had the chance to take a breather from my outdoor escapades, at the Hidden Valley resorts in Pinamungajan. Even though I still had the energy and enthusiasm to hike a treacherous trail or explore a cave, I just felt like it was the perfect opportunity to rest my body. And besides, I’m the kind of guy who easily gets bored when I keep doing the same thing over and over again, meaning I need to spice things up from to time. Not to mention, I had to spend quality time with my family and loved ones as well as celebrate my mother-in-law’s birthday in Lamac. I’m not a pool resort connoisseur, but…. 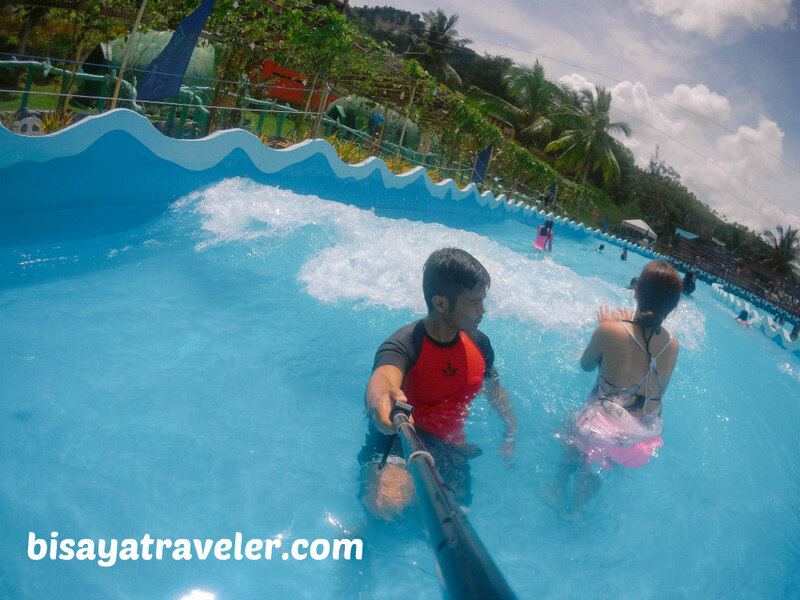 From its extraordinary wave pool to its rather chilly weather, I’ve heard quite a lot of nice things about Hidden Valley Pinamungajan from other people. As a matter of fact, my cousin, Janice, have nothing, but sweet praises for it, even billing it as one of the best resorts in Cebu. For some reason, though, I didn’t feel the urge to see it or check out how wondrous it is. The truth is, I’m not a big fan of pool resorts, although my wife extremely loves these sanctuaries. And, if someone asks me to choose between a muddy, gritty day hike and a getaway in a fabulous resort, I’d definitively take the more physically demanding option in a heartbeat. As sweet and pleasant as they are, pool resorts somehow make me a little out of place. Surprisingly, I had quite a swell time, exploring the diversions and thrills at Hidden Valley Cebu. 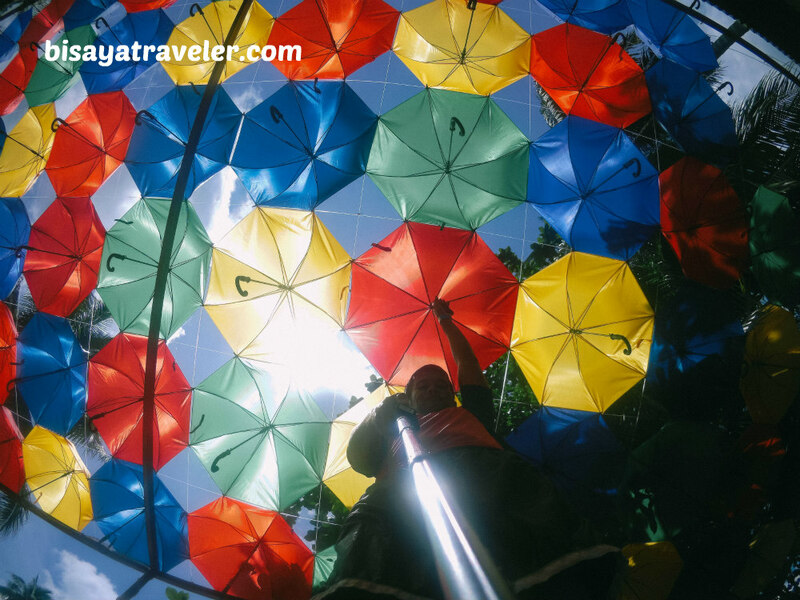 With its thrilling zipline rides and natural wonders, I even thought it was hard-wired for adventure seekers who like me need a little respite. 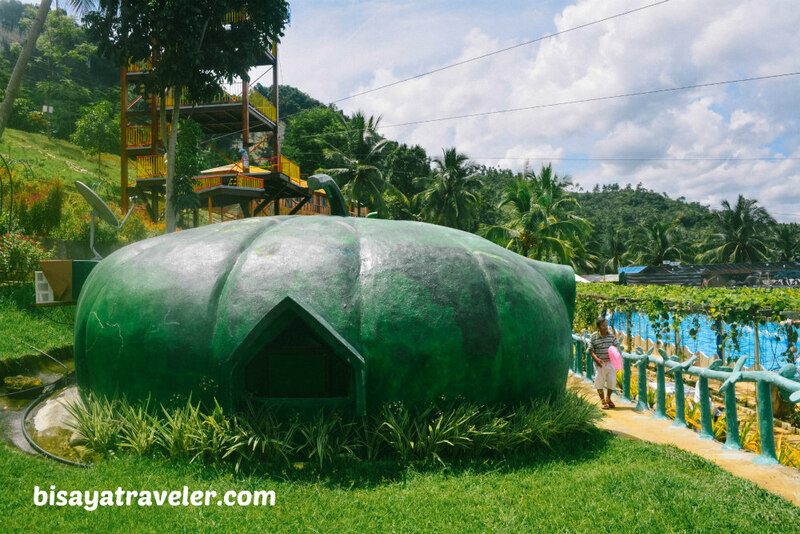 While it wasn’t perfect, I did enjoy our short stay at Hidden Valley Pinamungajan. Hidden Valley Pinamungajan is, in essence, a complex of pools, accommodations and entertaining facilities. 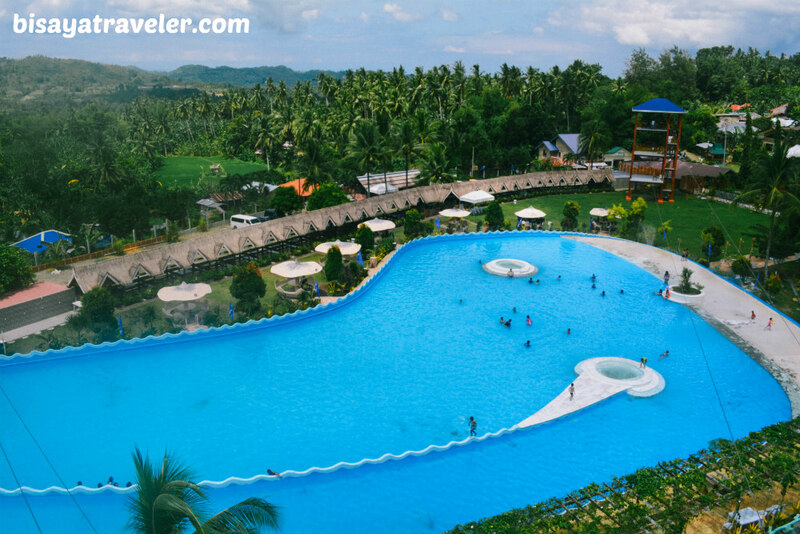 Actually, it is mainly divided into two resorts – Hidden Valley Mountain Resort and Hidden Valley Wave Pool Resort. 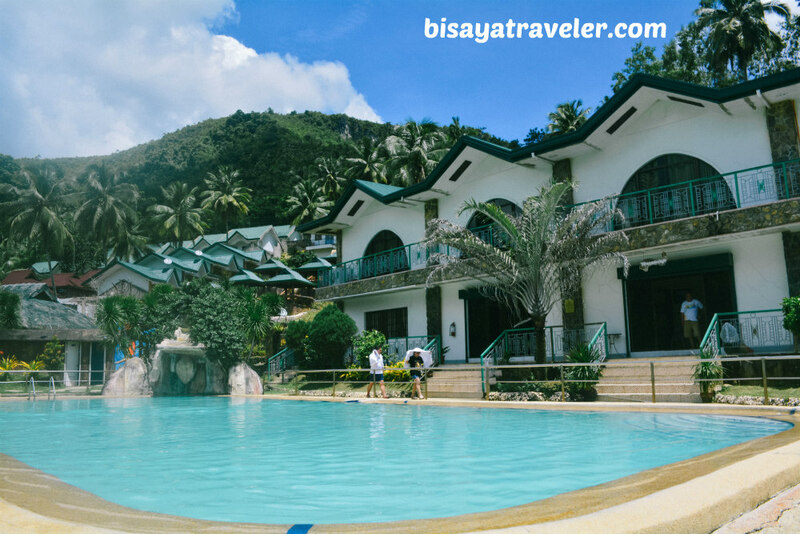 Of course, you need to pay the admission fee to use the facilities of one Hidden Valley resort, even if you’re checked in at the other resort. Getting to Hidden Valley Pinamungajan, from a typical city dweller’s perspective, may seem horrible. 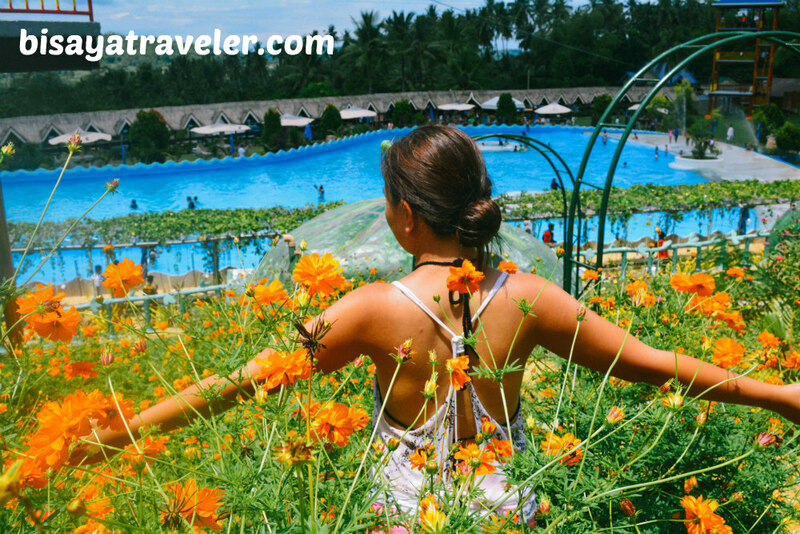 From Cebu City, you need to take a 2-hour drive to Lamac, Pinamungajan, passing by the steep road connecting Naga to Lutupan, Toledo. Not to mention, the road to Lamac from Toledo is quite bumpy and narrow. 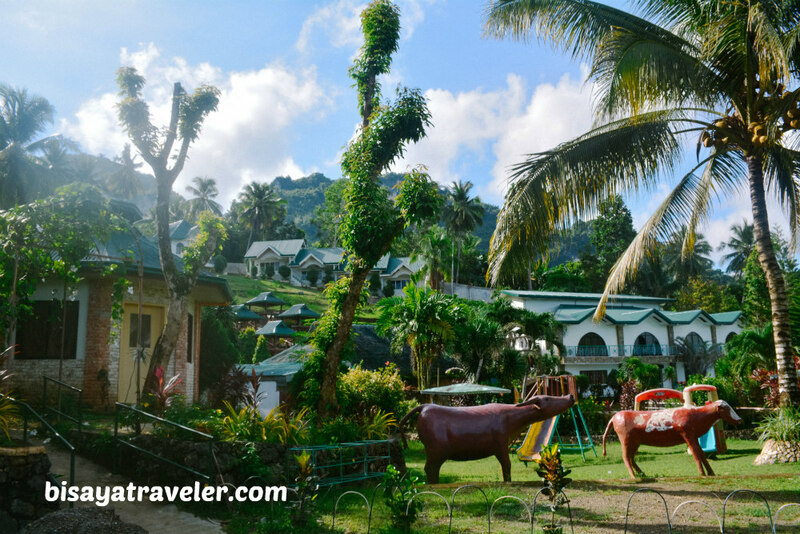 To me, however, the pathway to the resort is more developed, as compared to the other remote regions in Cebu. With the help of Waze, I thought it was arguably the easiest hidden oasis to find in Cebu. The moment we arrived, I was instantly mesmerized by the awe-inspiring Udlom Falls on the backdrop. 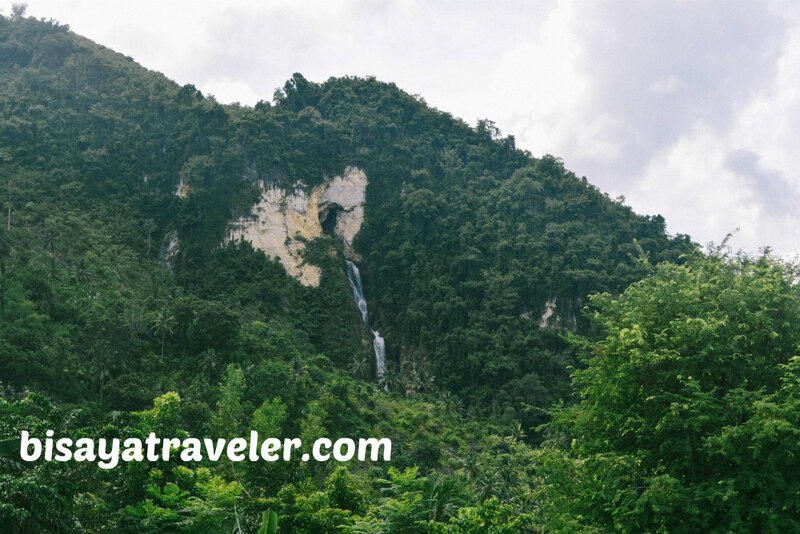 After all, it was the first time I saw a spectacular combination of a waterfall and mountainous cave. Honestly, I’ve never seen anything like it in all of the places I’ve been to across Asia. And, even though we were busy unloading our things, I simply couldn’t keep my eyes of this wondrous cascade. Since it was getting late, we made our way to one of the resort’s units, where we celebrated my mother-in-law’s birthday party. 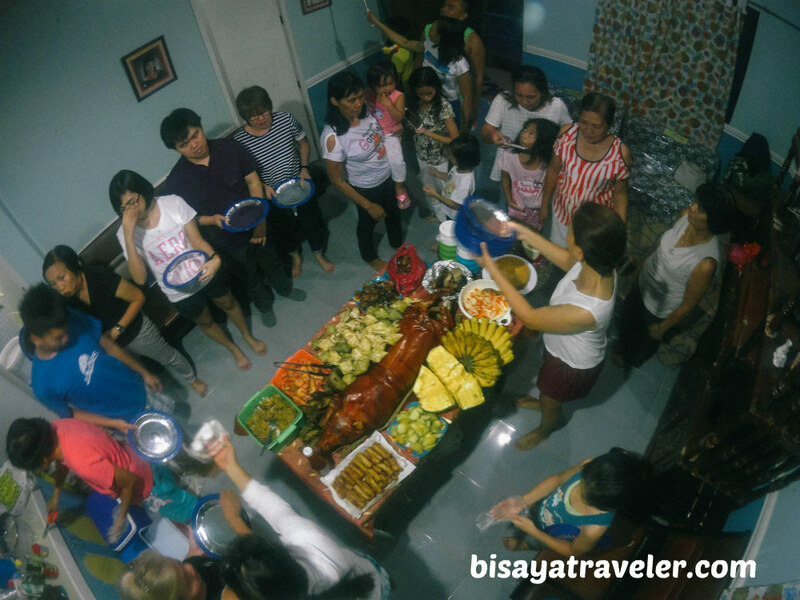 And yes, Cebu’s famous lechon – a staple in Filipino gatherings – was present for this special occasion. After a hearty and tasty dinner, we made our way to Hidden Valley to register our names, and check-in one of our rooms. There were 8 of us, so we took a couple of family-sized rooms (each room can accomodate 6 people) at Hidden Valley Mountain Resort. But, before we can get to our rooms, we had to walk up the 60-step staircase, which was a good thing since it helped burn all calories we consumed from our dinner. We, then, settled in, and made our way to one of the resort’s pool, for a refreshing night swim. For the first time in a long while, I felt utterly relaxed, enjoying the laid-back atmosphere and company of my family. Likewise, I was amused by sister, Mara, swimming from one end of the pool to another like a pro. As a former member of swimming varsity team, she still has the grace and power of a pro swimmer. Man, I wish I could swim like her! Later on, we went back to our room, to rest and catch some sleep. Unfortunately, we didn’t get enough sleep for that night. 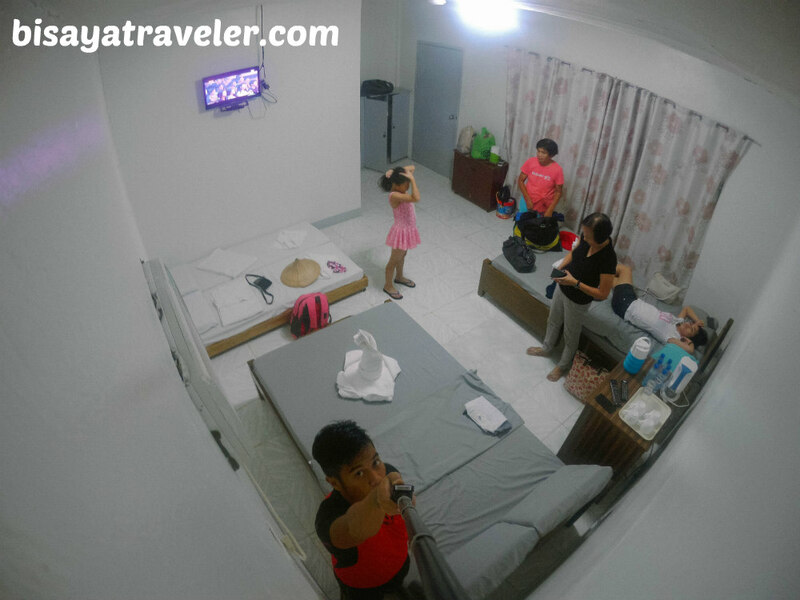 Despite the resort’s remote location, there was just too much noise outside our room, from the screaming frustrated singers using the canteen’s videoke machine to the discorals in the nearby barangays celebrating their fiesta. Yet, it was all good to me and my family. Remember, we have a small window of opportunity for fun and leisure, so there was absolutely no time for complaining and bickering. Plus, the place exuded a relaxing atmosphere with a plethora of Instagram-worthy sights. To keep things rolling, we quickly ate our breakfast, and made way to the registration center of Hidden Valley Wave Pool Resort. From there, we paid the entrance fee to the pool and the rest of the resort’s facilities. 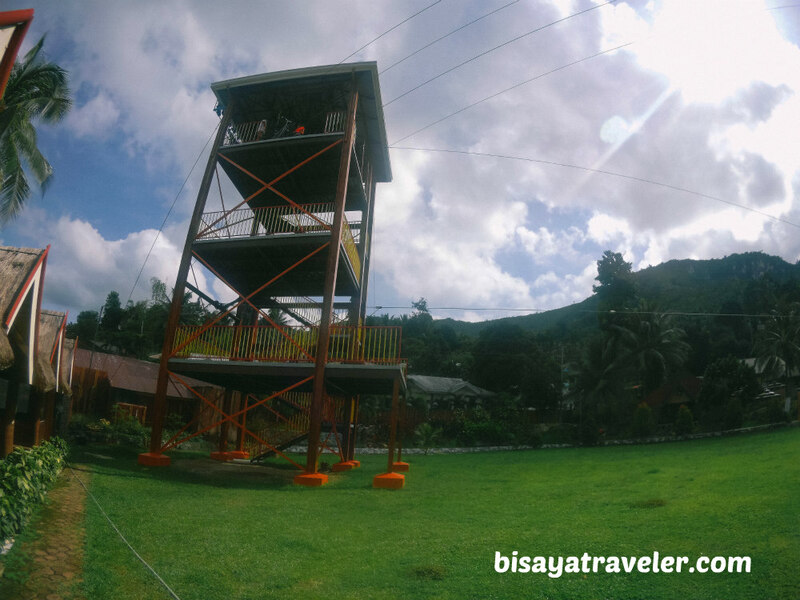 We only paid a hundred pesos each because we were officially guests at Hidden Valley Mountain Resort. And, yes folks, they offer discounts to guests of the other resort. Likewise, I bought a two-way ticket (PHP 200) to their towering sky-bike, to start my day on the right foot. As part of their safety precautions, the person-in-charge at the resort checked my blood pressure, prior to my bike zipline adventure. Am I that fat? Not really! The resort is essentially taking extra measures to make sure that every participant is fit for the adventure. Kudos to the staff of Hidden Valley Wave Pool Resort for ensuring their guest’s safety! 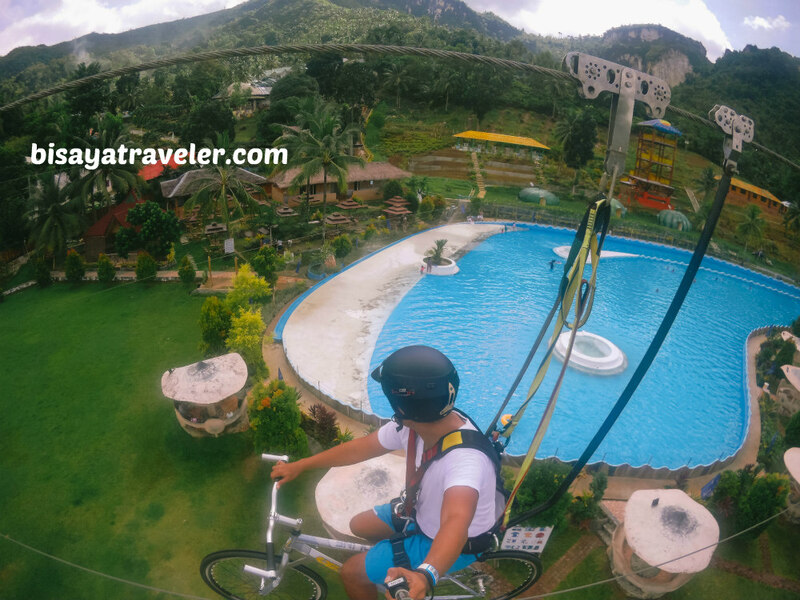 Once they’ve confirmed I was fit as a fiddle, The Bisaya Traveler wasted no time, and made his way to the tower where he was about to embark on his bike zipline escapade. As I was waiting for the other guests to finish their ride, I soaked up the views from above and checked out how sturdy their cable is. As I later on found out, this mind-blowing diversion inside Hidden Valley Wave Pool Resort is relatively new. In other words, everything here is extremely sturdy, shinny and brand new. As far as I know, it was their first week of their operations. Quite a lucky guy, I must say. 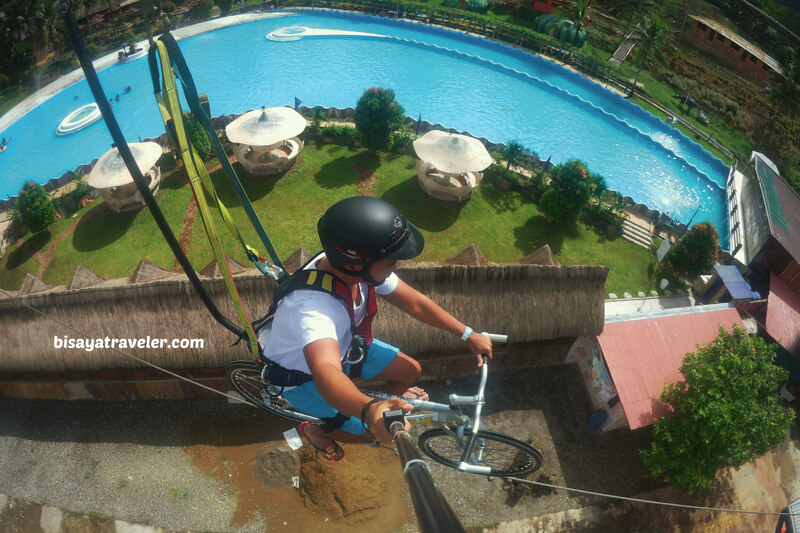 Moments later, it was my turn to hit the adrenaline-pumping sky bike of Hidden Valley Wave Pool Resort. Truthfully, I didn’t have an ounce of fear, when I started paddling the bike. 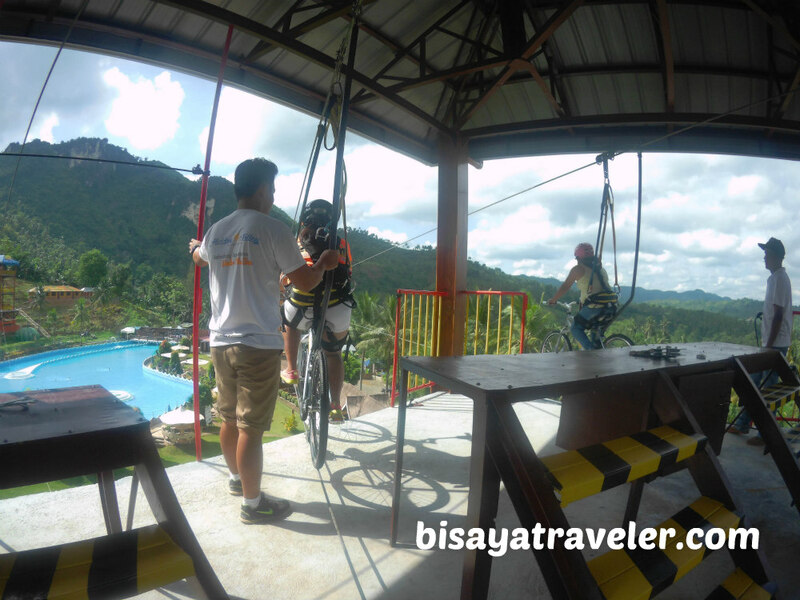 Like my bike zipline in Bohol, I was all smiles, indulging on the fresh mountain air and breathtaking vistas. Everywhere I looked, I was greeted with a pleasant sight. What’s more, the mountain breeze was so relaxing, fresh and clean. Personally, I wouldn’t mind spend hours, paddling this hike and admiring the scenery. And, by the way, it was a great leg workout, challenging the squads and hamstrings. In my book, it was a totally amazing experience. The only thing that I didn’t like about the ride is its not-so impressive length. By my own estimation, it took me less than 30 seconds to get from one tower to another. Next time, I will slow down, take my time, and savor every second of the experience. 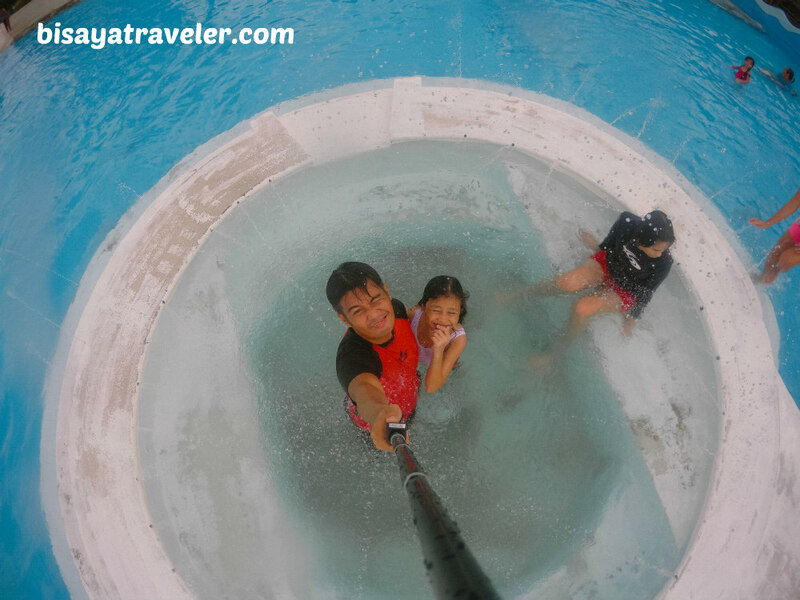 With the enthralling bike zipline experience in my books, I descended from the tower, and went to the wave pool, for a plunge with my sister, wife and the kiddos. Obviously, I was waiting for the highly touted artificial waves to show up. Sadly, the waves were a complete no show, on my first try. With that said, I and my wife decided to take a quick hike to one of the refreshing waterfalls nearby. And, as soon as I stepped out my pool, the horn signaling the arrival of the waves sounded. Geez! With the help of a few locals and my wife’s sense of direction, we discovered the enthralling and rejuvenating Sinungkulan Falls. We took a plunge on its remarkably cold waters, as well as snap a handful of pictures of it. Then, we headed towards a local store, and gathered some information about the falls and the other attractions near Hidden Valley Wave Pool Resort. While talking to the locals, we also spotted the trail to Udlom Falls. But, with time not on our side, we were forced to cancel our sojourn to the towering and magnificent cascade. Maybe, next time, though! 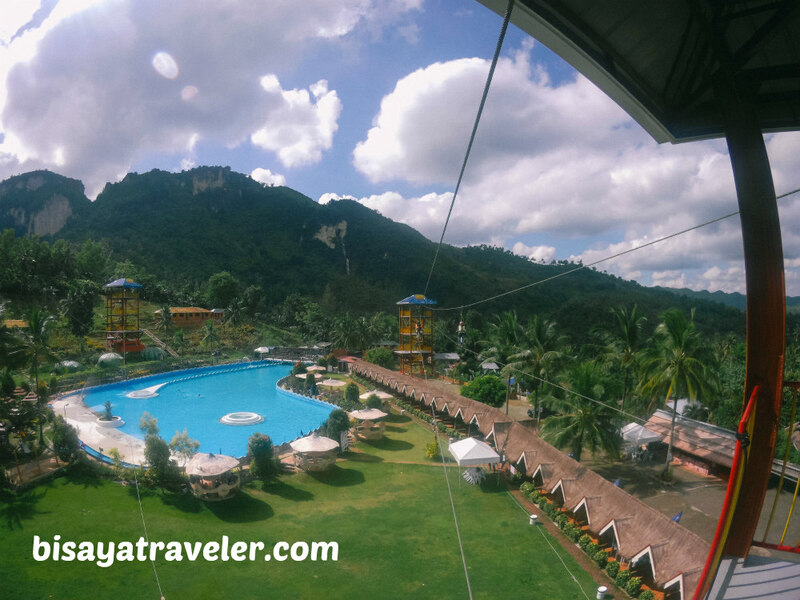 And so, we went back to Hidden Valley Wave Pool Resort, to snap more photos of the resort. Amazingly, there are plenty of spots inside the resort where you can flaunt your OOTD, and snap an Instagrammable photos. 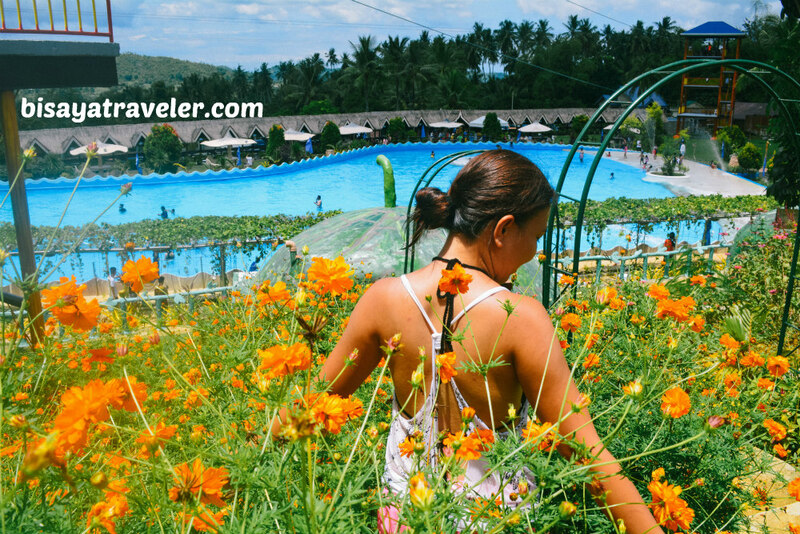 From dazzling flowers to its uniquely designed rooms, Hidden Valley Wave Pool Resort can be a paradise for photography junkies. Even for frustrated photographers like me, this place can get your fix, and unleash your inner shutterbug. Afterwards, we climbed to one of the towers, to snap a photo of my sisters-in-law gliding through the resorts zipline. And, guess what? There was a rather funny and memorable moment, on one of these glides. My wife’s eldest sister, who’s afraid of heights, was literally stuck in the middle of the ride, between the two towers. As you might have expected, her sisters and friend burst into laughter, with her facial reactions. Luckily, the resort’s team was pretty snappy, saving her from any other problems in a jiffy. Minutes later, the horn inside Hidden Valley Wave Pool Resort sounded. Not surprisingly, we blitzed our way to the pool, and ultimately found ourselves enjoy the artificial waves. As far as I’m concerned, the pool and the waves aren’t as groundbreaking and incredible as most people say it is. Nevertheless, it was fun and exciting, and did make a ton of people happy that day. And for me, that’s more important than any plaudits, awards and praises. From there, we went back to Hidden Valley Mountain Resort, to take photographs of its pools and other facilities. Afterwards, we went back to our room, made final preparations, and settled our bills in the front desk. To prepare for our road trip back home, we ate lunch at the canteen, and savored some luscious treats. And, before hopping on our tiny van, I took a photo of the pool where we took a swim the previous night, capping off our getaway on a positive note. 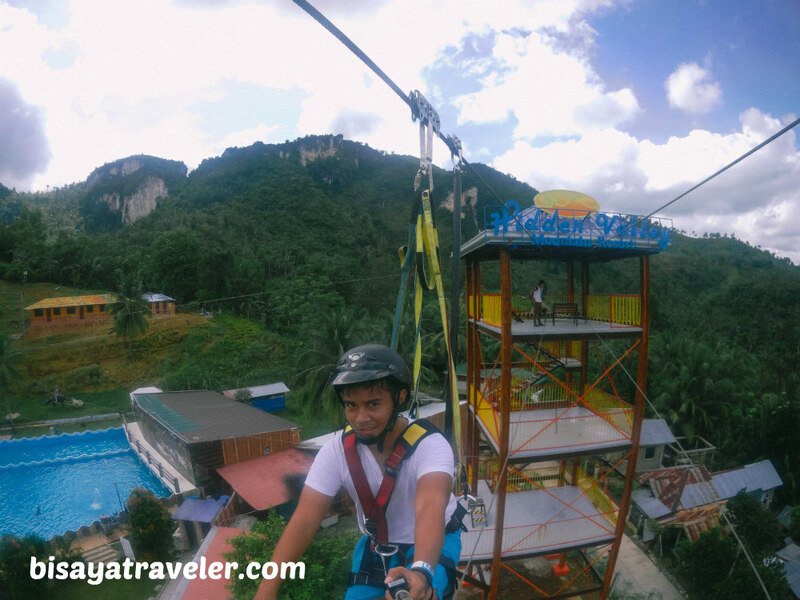 Contrary to popular belief, getting to Hidden Valley Pinamungajan is practically easy. 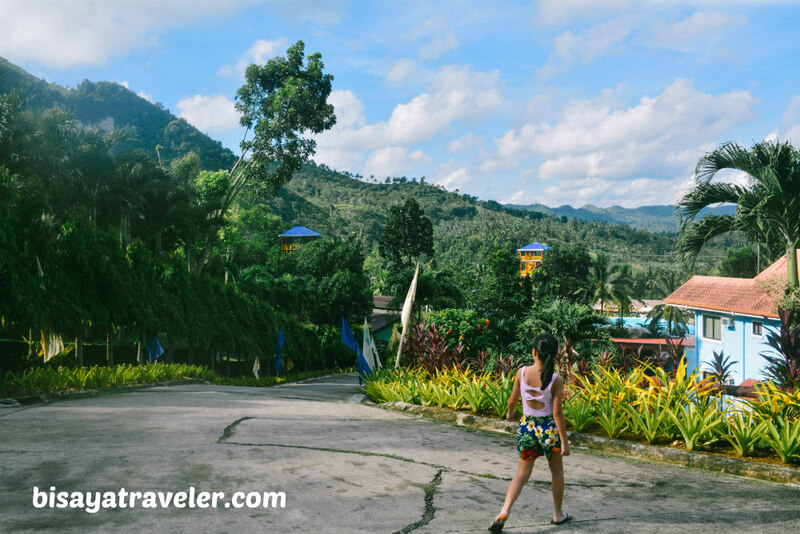 With the guidance of Waze or Google Maps, you can find Hidden Valley Pinamungajan from Cebu City effortlessly. 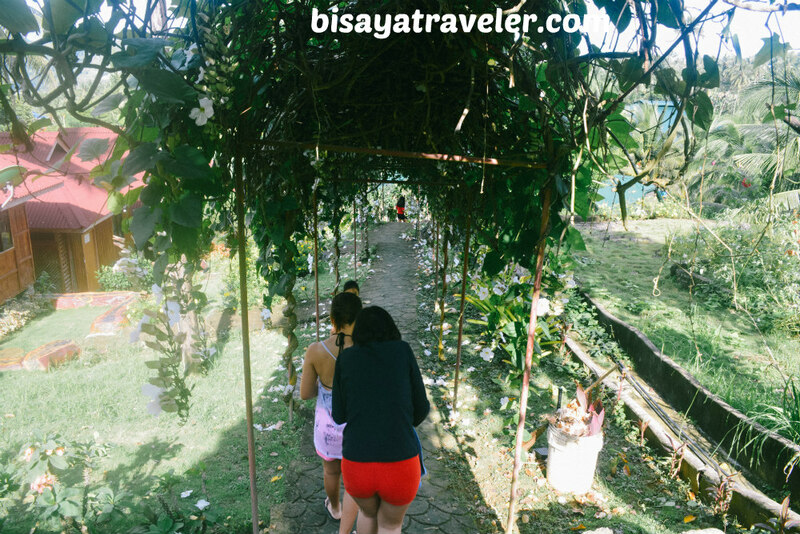 Alternatively, you may get there through the old-fashioned way – by asking the locals, upon arriving at Lutupan Landinganan. For commuters, you may get to Hidden Valley Pinamungajan via a bus ride (fare is PHP 40) that will take you to Lutupan Landinganan. Once there, charter a habal-habal (fare is PHP 60 per person and per way) to Hidden Valley, Lamac, Pinamungajan. Contact them directly to get the lowdown for the exact rates and number of people for their dormitory rooms. Mobile network coverage is limited in Hidden Valley. Free WiFi is available, but is unstable and weak. There are a lot of stores near the resorts selling a variety of snacks and food. There are lifeguards in Hidden Valley Wave Pool Resort. (I didn’t see any in Hidden Valley Mountain Resort). Be careful, when swimming inside the wave pool. Even though the water is shallow, the waves were moderately strong, and can potentially hurt people who are staying close to the walls. Moreover, there are some slippery spots within the sprawling pool. Hidden Valley Pinamungajan isn’t a perfect sanctuary. 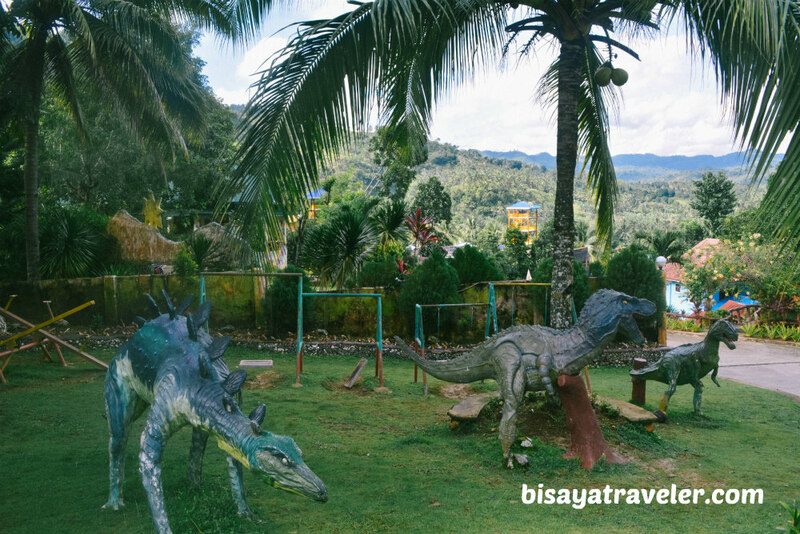 With limited mobile network coverage, bumpy road and a few inconveniences, Hidden Valley Pinamungajan may not be the ideal haven for those sossy, maarte travelers. But, I’m the type of person who always looks on the positive side, rather than dwell on the negative aspects of my trips. I guess that’s the reason why I’m extremely happy with my life, even though I’m not as rich as Bill Gates or as gorgeous as Xander Ford (pun intended). And at least, the resort complex did appease a bit my adventure cravings, as well as gave me a hint on where my next adventure may take place. So, the next time you complain about your so-called disaster trip, try to be a little optimistic, and look on the bright side. Who knows? 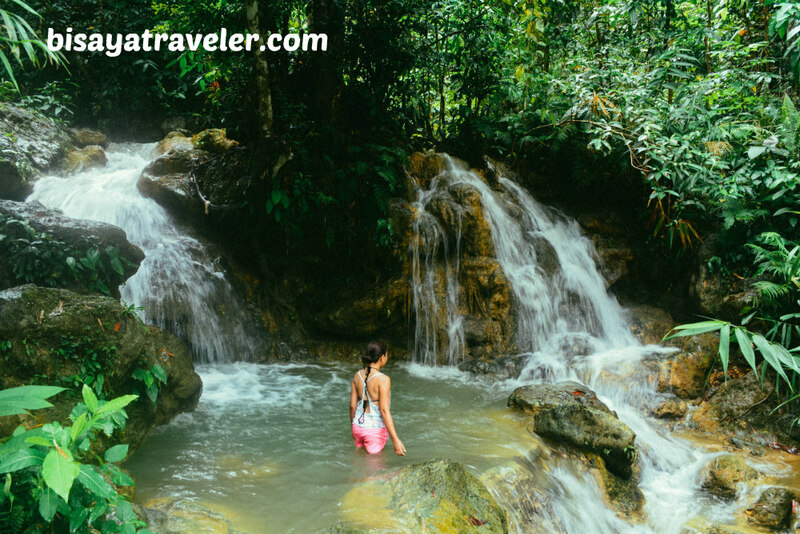 You might discover a hidden gem or experience the adventure of a lifetime.